When the phone rings at precisely six o’clock one evening, it shatters the silence of the farmhouse where Fran has lived alone since her mother abandoned her at age fourteen. She recognizes the voice on the line immediately. Though it has been four years since she left, Fran’s mother offers no apologies or explanations. She is calling to tell Fran the family stories. And though Fran longs to hang up on her, she can’t help but be drawn in by the strange and wonderful tales her mother has to tell. Over the course of several weeks, in her nightly phone calls, Fran’s mother unfolds the amazing history of their large and colorful family: tales of saints and murderers; world-renowned pickpockets and fabulously talented bakers; bitter rivalries and unconditional loves; adventures across continents, tragedies and transcendence. What Fran urgently seeks is an explanation for her mother’s abandonment, but all she gets are tall tales of a family exodus from a desolate Canadian farm to a new home in the Florida swamplands. 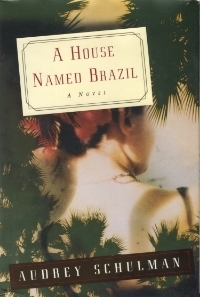 In the sprawling house named “Brazil,” there is more than enough room for every larger-than-life member of this family –and all the noise, heat and passion they generate.